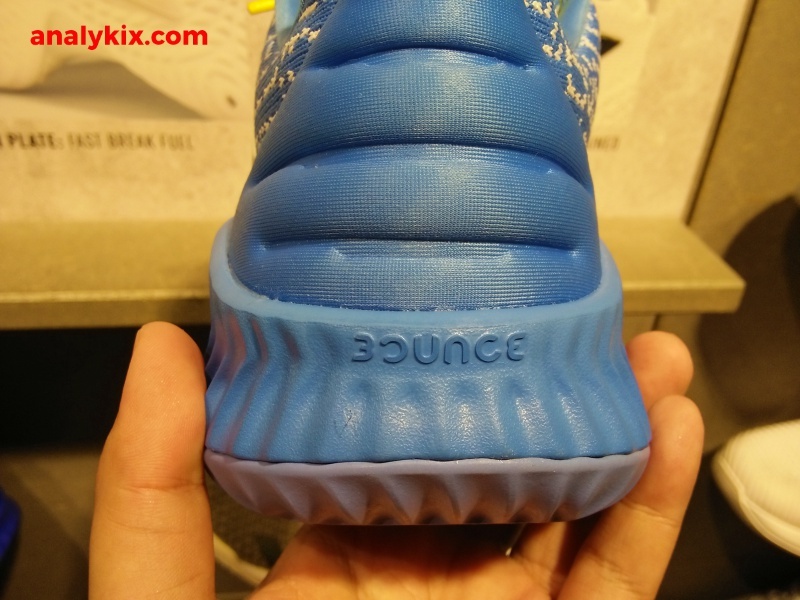 Yes, we are getting some PE's for the adidas Pro Bounce Low. 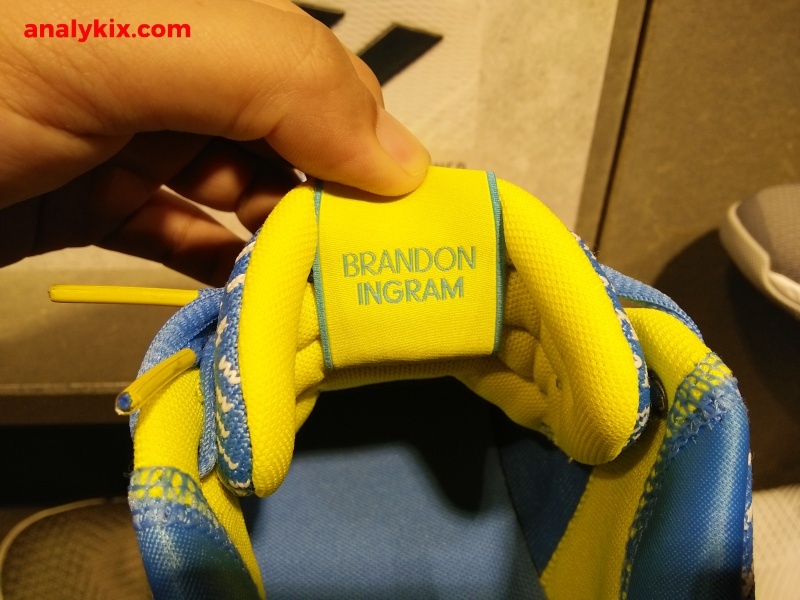 This is one is from Lakers rising star, Brandon Ingram. 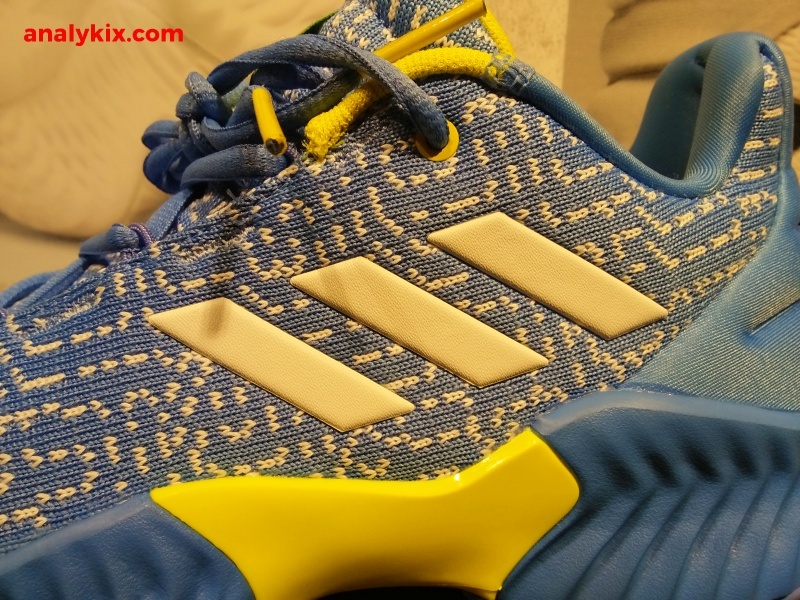 For this particular colorway, this has more of a Minneapolis Lakers vibe or the retro team of the Lakers where their team color consists of a light shade of blue with yellow hits. 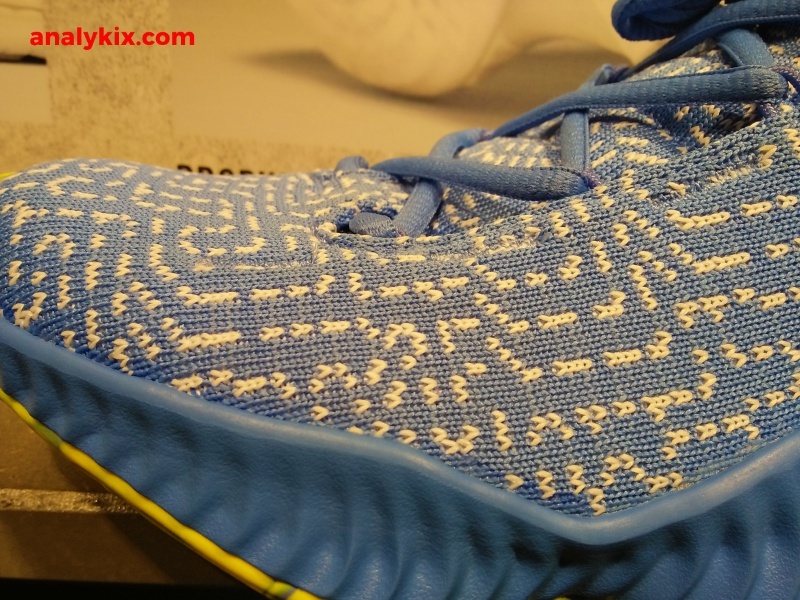 Knit upper comprised the shoe's upper in light blue with white hits. 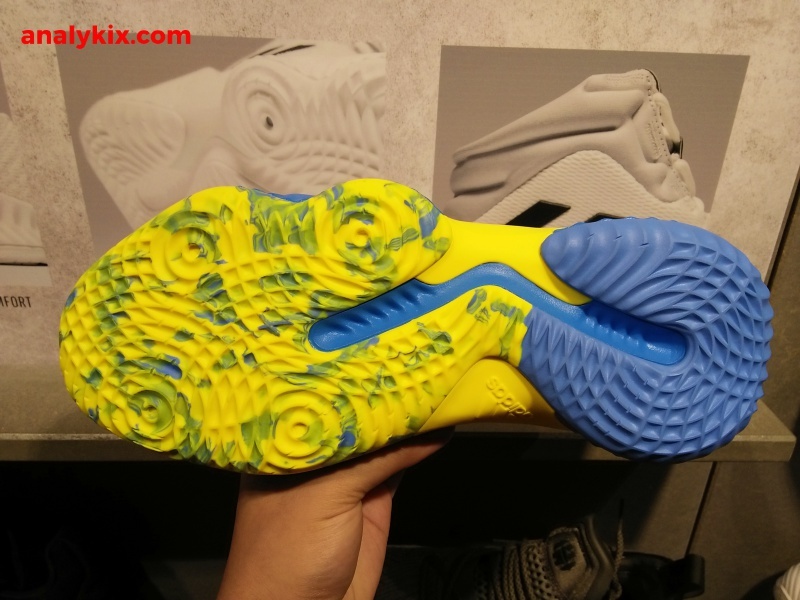 White 3 stripes logo can be seen as well and the yellow can be seen on the tongue branding, inner lining of the shoe, torsion plate and in the outsole. 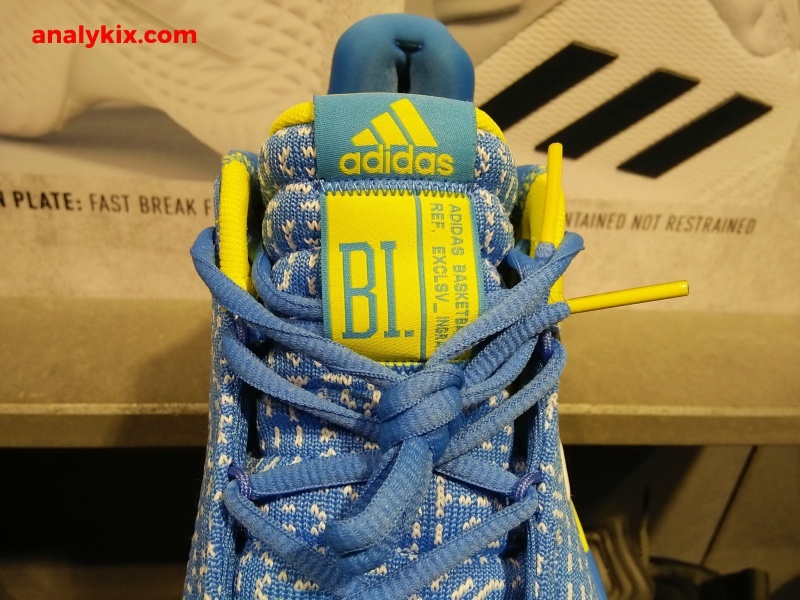 Speaking of the shoe's tongue, you can see BI on the front of the tongue and inside it says Brandon Ingram making it more personal. 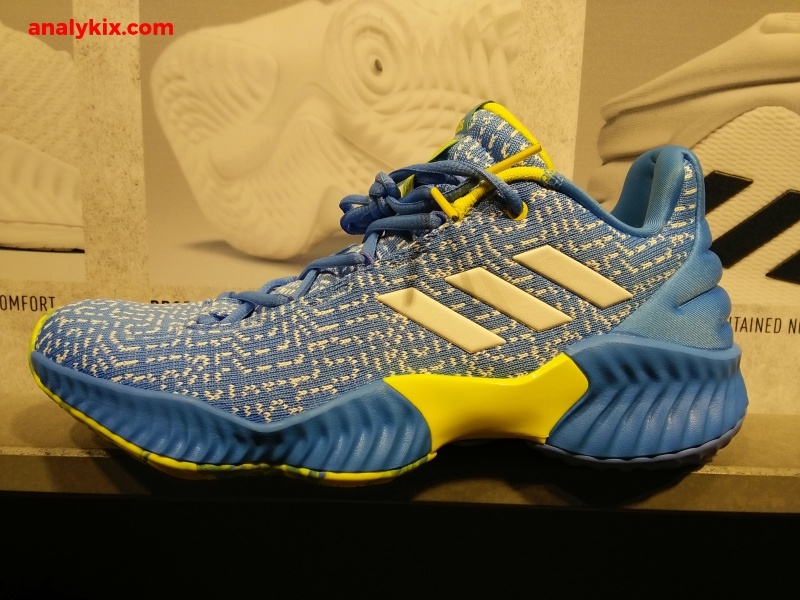 As the name suggest, Bounce cushion was used in this model and this silhouette might be the go-to for adidas' athletes. Are we expecting more PEs to drop in the store shelves? Hopefully yes so stay tuned here at Analykix, as I will be posting them once I spotted them in stores. 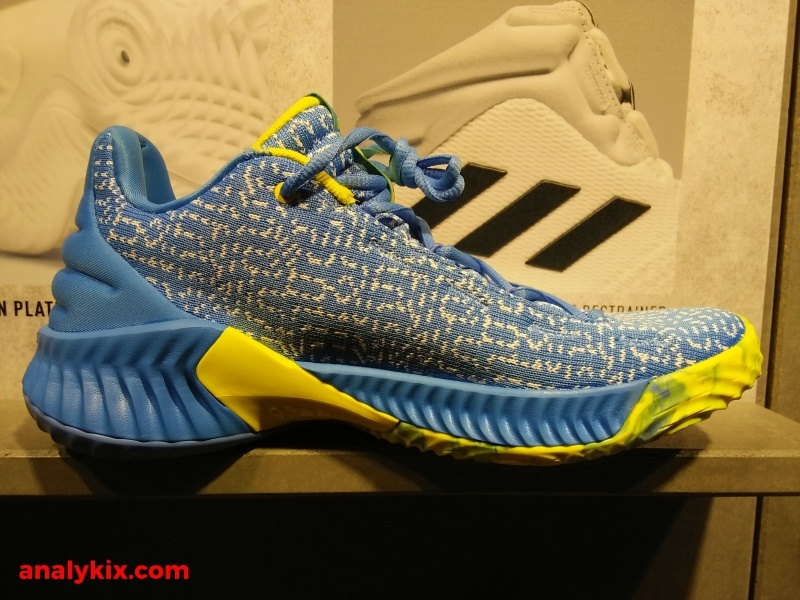 This colorway was spotted at the adidas store in Trinoma.